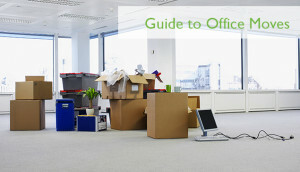 One thing that can strike fear into the heart of even the most organised Office Manager is an office move. No matter what the reason for the move, it has the potential to cause disruption for a number of days. But there are a few key steps you can take to help keep the impact on your business to a minimum. 1. Firstly, and most obviously, get a good moving team on board as soon as you know the move is happening. An experienced removal team will be able to advise you of what to do. Here at Eco Movers we offer a range of efficient options tailored to your company’s needs, to ensure the process runs as smoothly as possible. 2. Communicate about the move with your colleagues. Engage with them about why the move is happening, consult with them on any aspects of the move that they can have a say in and clearly set out what the benefits will be for them (for example, more space, better location etc). If the staff are on-board with the move, they will be more likely to step in and help with whatever needs done. 3. Think about how you will keep the business running around the move. Can colleagues work from home over the moving period, or perhaps work from a different site? If you decide to opt for a total shut-down during the move, make sure your customers or other stakeholders know well in advance so it doesn’t come as a surprise! 4. Have a plan. It’s up to you how detailed you make it, but it’s a good idea to at least write down what need to be done by when and who needs to be where on each day of the move. Go through it with your moving team to make sure you have not missed out anything crucial. Use our checklist as a reference point. 5. On the day of your move, be guided by your movers. They have done this many times before and will be invaluable in making sure you have a trouble-free move. (And while it’s not compulsory, unlimited tea and biscuits throughout the day can also help make the move happier for everyone!) if you need any further clarification, please refer to our testimonials or view other online independent assessments to ease any concerns you may have.